Peru is an astonishing place of contrast and diversity. A country which wraps you in its embrace, immerses you in nature, astonishes and delights you, scares you sometimes, but more than anything, wakes you up to the multi-dimensionality of life. It is one of the few countries left where the indigenous people and their ancient wisdom and beliefs are still current. You might think you’re travelling there for one reason, but what you experience will be far more than you can ever anticipate. You won’t be the same person as when you arrived. Western cultures have almost completely lost touch with their ancient spiritual traditions. Many of Peru’s ancient spiritual and shamanic traditions survived the onslaught of western conquests by going into hiding for hundreds of years. Now that the world is starting to awaken – these traditions are being rediscovered and re-learned. What will you learn about yourself in Peru? Shamanic Journey is an epic transformational two-week journey that will take you from stunning scenery to soul searching bliss. Two incredible weeks of breathtaking locations, spiritually groovy activities, ancient history and mystical experiences. Far more than a sight-seeing tour – it is a life-changing spiritual adventure. Would you like to experience a deeper connection with the sacred power places and shamanic traditions of Peru? 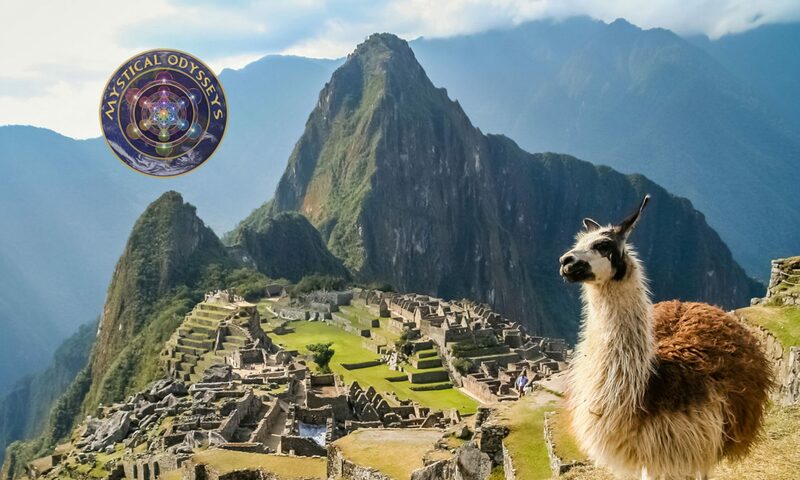 To visit Machu Picchu one of the newest wonders of the world with the Shaman who calls is home? Join us for a transformational journey into Peruvian mysticism through powerful energy centers of this sacred land. A journey to connect deeper with yourself and the ancient heart of the Inca with like-minded and like-hearted people? While we have a detailed itinerary – yet we always leave room to surrender to the magic that shows up along the way! This is an epic adventure for spiritually aware people. We are excited to connect fellow truth-seekers who are eager to meet like-minded and like-hearted people. Together we will explore enigmatic sacred sites and extraordinary natural places of power. Places that will inspire your soul and enliven your being… taking you to a place of deep reconnection with the world around you, the wisdom within you and the people around you. You will meet teachers in your fellow group travelers and in the plant and animal kingdoms… and it will open up conversations of the most profound kind. Journeys like this have the power to transform you and when you travel with like-hearted people the bonds created are often greater then even your family. You are no longer just a drop in the ocean but part of a movement expanding consciousness toward a more loving, kinder and collaborative world. Small groups offer security, friendship and deep connections… and this journey is crafted to take you deep on a personal and collective journey. You’ll meet friends, soulmates and … who knows… perhaps even your future spouse! Sacred Power Places – You’ll visit places of peace and power with knowledgeable guides including Q’ero Paco (Shaman) Luis and Kucho, the shaman of Machu Picchu. Stunning Scenery and Ancient Inca ruins – including Sacsayhauman, Ollantaytambo, Temple of the Moon and of course Machu Pichu – a city built on a mountain of quartz crystal. Extraordinary ceremonies and talking circles- including a traditional despacho ceremony (to release old energies), meditations at sacred sites and special talking circles integrating the magic of the country and our experiences. Sacred Plant medicine ceremonies – life expanding ceremonies in a beautiful, safe, heart-opening garden in the mountains above Cusco. San Pedro (known as Wachuma to the indigenous people) and an optional Ayahuasca ceremony – both plant teachers that have been used for thousands of years by Andean Shamans. Indigenous Animals – an opportunity to visit with animals native to Peru and special to the Inca – in a beautiful sanctuary that cares for them. An exhilarating overhead flight by an Andean Condor (with 10-foot wingspan!) is an exhilarating experience you will never forget. Service to others – we believe there is no greater expression of our divinity than service to others. Your transformational journey will end with a poignant and heart-warming day with underserved local children. Fun – LOTS of fun! Each activity will be undertaken with an intention of joy, fun and laughter. Transform your life in Peru!